Item # 317056 Stash Points: 2,495 (?) This is the number of points you get in The Zumiez Stash for purchasing this item. Stash points are redeemable for exclusive rewards only available to Zumiez Stash members. To redeem your points check out the rewards catalog on thestash.zumiez.com. One of the most iconic logo emblems in skateboarding culture receives the respect it deserves with Anti-Hero's signature Eagle Slate Blue T-Shirt. 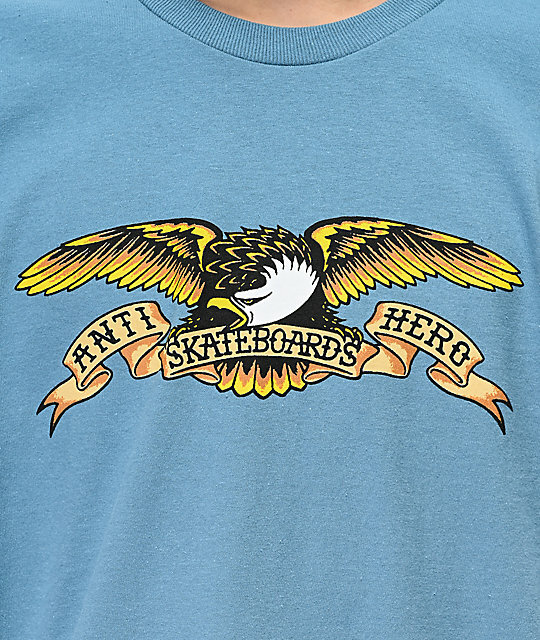 Perfect for completing your skate-inspired outfits, this pale blue tee features the brand's signature "Eagle" logo graphic across the chest that includes Anti-Hero logo script for an authentic look. 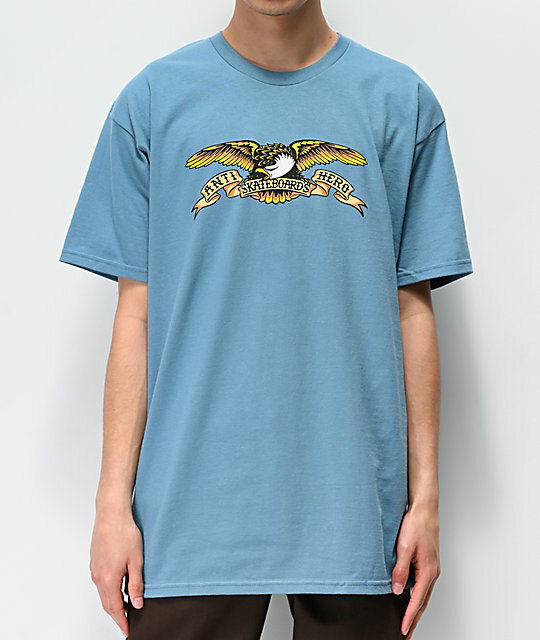 Eagle Slate Blue T-Shirt from Anti-Hero.